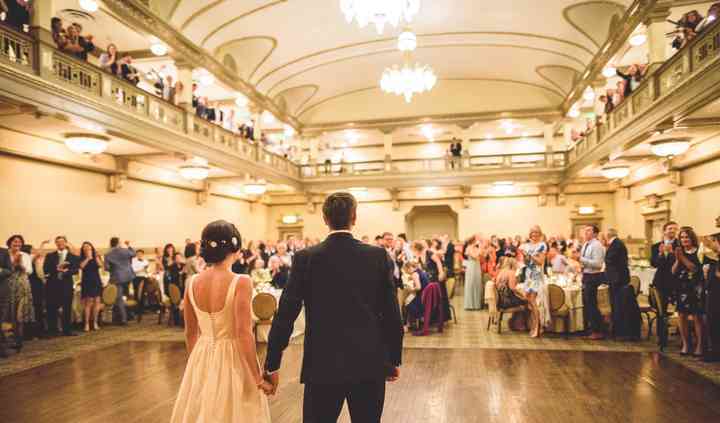 A sizable wedding venue in Richmond, Virginia, The Historic John Marshall Ballroom offers couples a completely customized wedding experience. An all-inclusive event space, the venue’s lavish ballrooms provide a unique space where couples can craft their own special day. 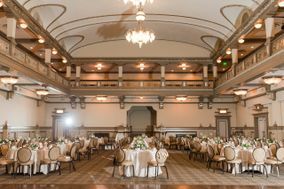 With its timeless architectural detail, The Historic John Marshall Ballroom is a great choice for celebrating in luxury! Accommodating 75-750, the venue offers several event spaces in which couples may host their ceremony and/or reception. Built in 1929, The Historic John Marshall Ballroom was the largest hotel in Virginia at the time of its establishment. Welcoming esteemed guests such as Elvis Presley, Elizabeth Taylor, and Presidents Nixon, Ford, and Carter. The venue closed and sat vacant for over 20 years before undergoing an $80 million, two-year renovation to restore it to its original grandeur. The Historic John Marshall is located in Richmond's business / financial district, just blocks away from many hotels and the Virginia State Capitol building. The Historic John Marshall Ballrooms + Amy Loving recently provided our family with a perfect wedding experience. From the outset, as well as throughout the planning process, Amy was responsive and ... Read more helpful. No matter if the question was large or small, Amy deftly guided us with efficient answers and ample resources. The venue itself is stunning. 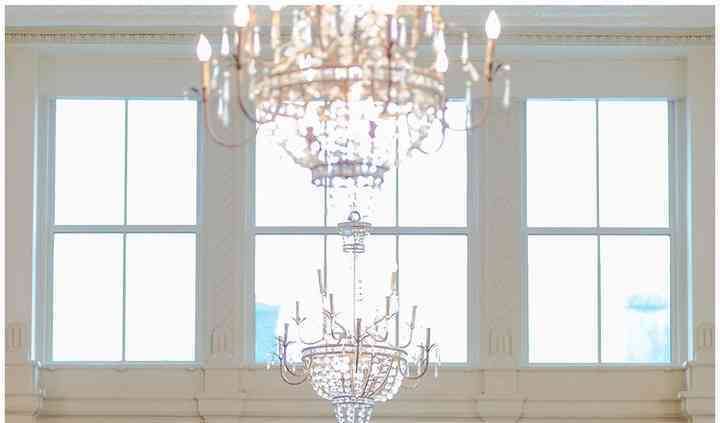 With its perfect flow of spaces - to include the Marshall and Virginia Ballrooms with its gorgeous chandeliers, tastefully decorated lobby with multiple lounging areas, a grand staircase made perfect for those exit photos, spacious bridal suite and well equipped clubroom for the groomsmen - the John Marshall Ballrooms has it all. In terms of event execution on the day of, Amy and her team were tops. The combination of delicious food by Homemades by Suzanne, alongside flawless delivery by the service team, made our guests feel content and happy throughout the evening. All of these carefully crafted elements allowed us to immerse ourselves in what was most important: enjoying every moment of our joy filled celebration. Thank you, Amy Loving and Team! I couldn't have asked for a better/ easier experience. We came to the John Marshall about 7 months before our wedding. We met with Amy Loving and she showed us the entire venue. She gave us all our ... Read more options up front and went through each of them thoroughly. 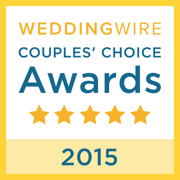 Amy accommodated every financial concern we had and went above and beyond at fulfilling our dream wedding. She answered every crazy email I sent her within 12 hours. No later. I can't say enough amazing things about her. And the food!!! Oh my gosh the food! It was so good!!! The total we spent included both ballrooms (one for the ceremony and one for the reception) as well as the lobby for cocktail hour, open bar, and food for 90 people. 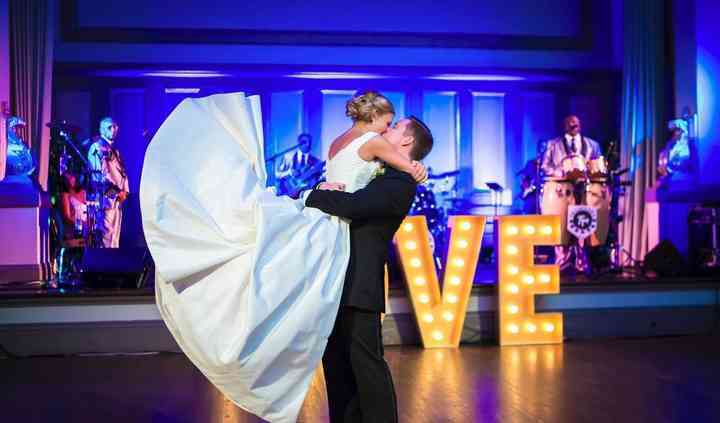 You truly cannot go wrong with the John Marshall Ballrooms! The venue is stunning and when my selections were added it became a fairytale. Amy Loving was responsive and gently redirected me when my ideas wouldn’t yield the result I wanted. 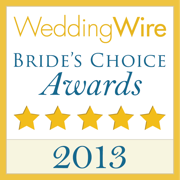 The staff was kind ... Read more and accommodating the day before and day of wedding. The room was set exactly as intended. The venue was spotless. Our guest are still talking about how perfect the venue was. Truly a great representation of old school Richmond elegance. We’ve decided to host an annual Christmas Party at the John Marshall. John Marshall Ballrooms is such an epic location for a Richmond wedding. I mean, the venue, I don't even know where to begin to describe the beauty of the venue. Then, the LOCATION! Right in the heart of Richmond and walking distance to hotels, bars, entertainment, anything your guests would want! Then, of course, the service. The team at JMB will ensure an amazing event! Working with the entire team at JMB was amazing. Corresponding with Meredith and Amy was the best. 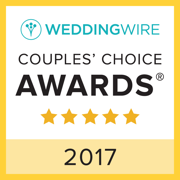 They were professional, prompt and knowledgeable when responding to questions leading up to the wedding that we were working on together. When it came to the day of they were both present and more than willing to assist us with anything we needed. Their staff was flexible, sincere, accommodating, hardworking, and made the entire reception of 207 guests run flawlessly. Top notch! We can't wait to work with them again! 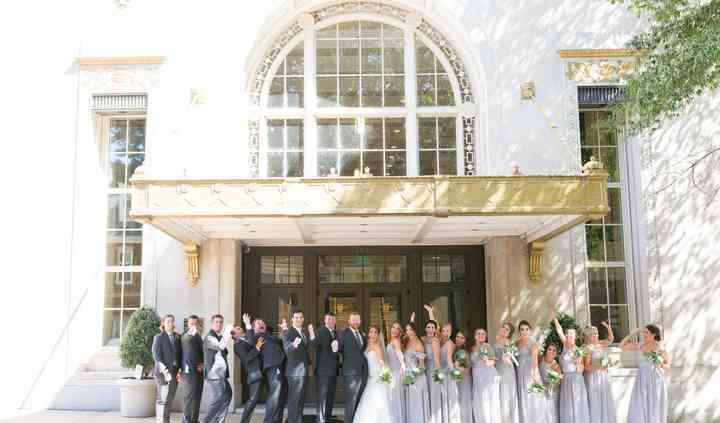 The John Marshall is an iconic location to tie the knot in the Richmond area. It is a beautiful place for an elegant wedding. It is truly a venue for the refined bride with a heart for her guests to have a comfortable stay. The classic, joyful, romantic couple will love to host their guests here as they celebrate their big day!